PyronixCloud allows you to link your HomeControl Security System and through highly secure encryption. 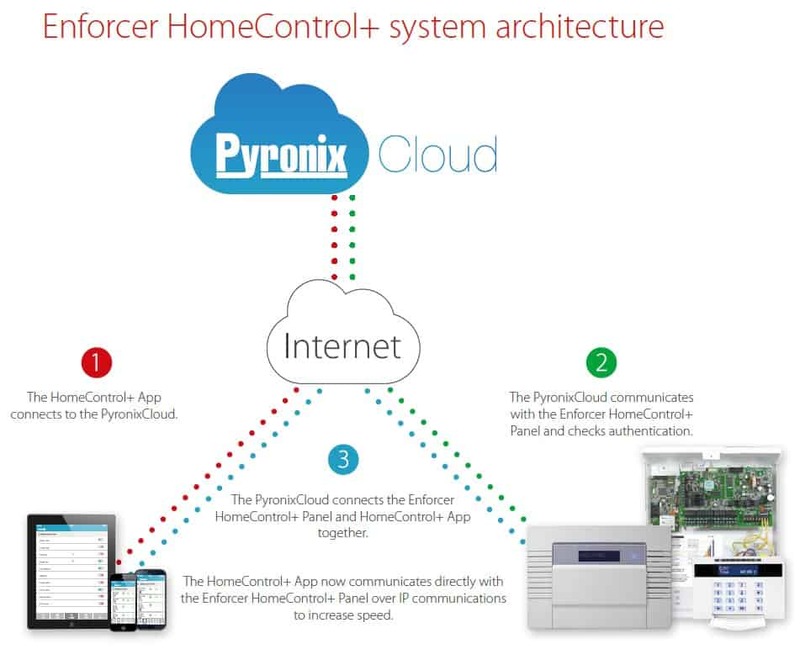 The Pyronix Cloud functions as the gateway between the HomeControl App and the Enforcer HomeControl Panel. Pyronix Cloud is hosted with Health Monitoring. Utilizing load balance technology and Amazon Web Services. Acting as the online management software for your HomeControl system, Pyronix Cloud controls the access between the HomeControl app and panels. This enables you to activate and deactivate program users on the system. It will also authenticate. Push notifications can be controlled through the Cloud. 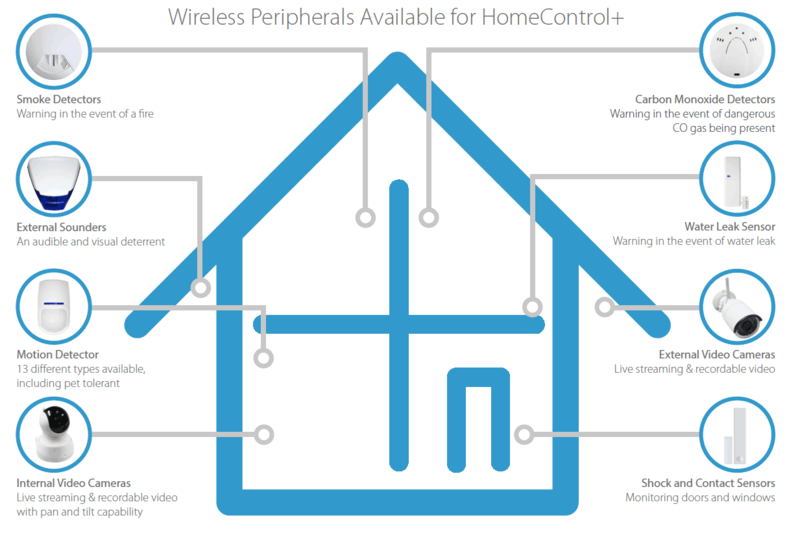 With various events that can happen on the system, you can customize the notifications that each HomeControl user receives when these happen. PyronixCloud additionally monitors the existence of the Enforcer HomeControl system through polling, which happens every eight minutes over IP communications that are secure. but this can also be altered in the PyronixCloud dependent on the network quality. By joining through a cloud server, there is no onsite setup of static IP addresses or configuration of network connection, instead, you simply set up an account on PyronixCloud.com. Therefore with the Pyronix Cloud maximum security is maintained, with all communications encrypted as the US Government to the same accepted degree of standard encryption. with no sensitive user information saved on the Cloud. In addition, this setup produces panel diagnostics, secure remote access and much more from a smartphone immediately. The PyronixCloud infrastructure even allows remote and diagnosis programming of systems using Insite UDL software.